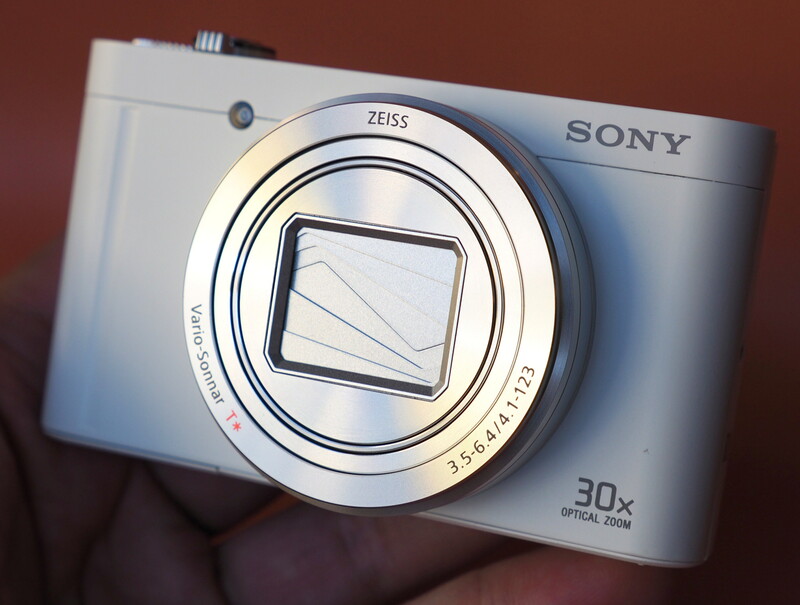 Reviewed, the compact Sony Cyber-shot WX500 with a 30x optical zoom lens. 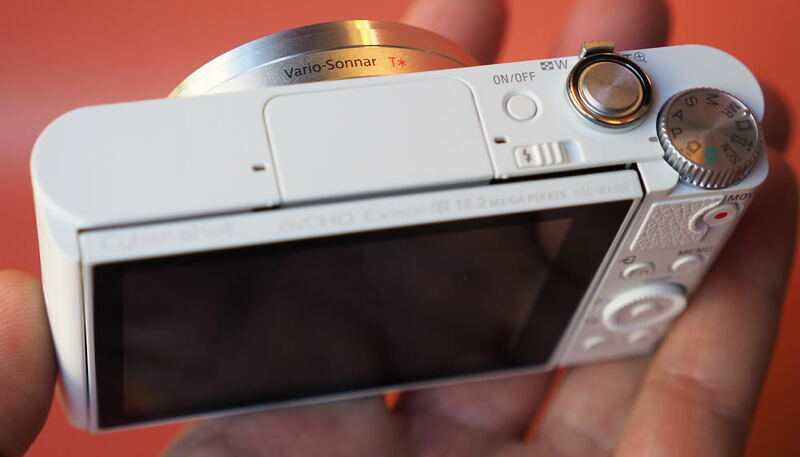 The Sony Cyber-shot WX500 is the little brother to the HX90, with the same 30x optical zoom lens and 18.2 megapixel sensor, it cuts down on a few features, making it a more affordable version. The WX500 still benefits from the same tilting screen, making it great for selfies and group shots. 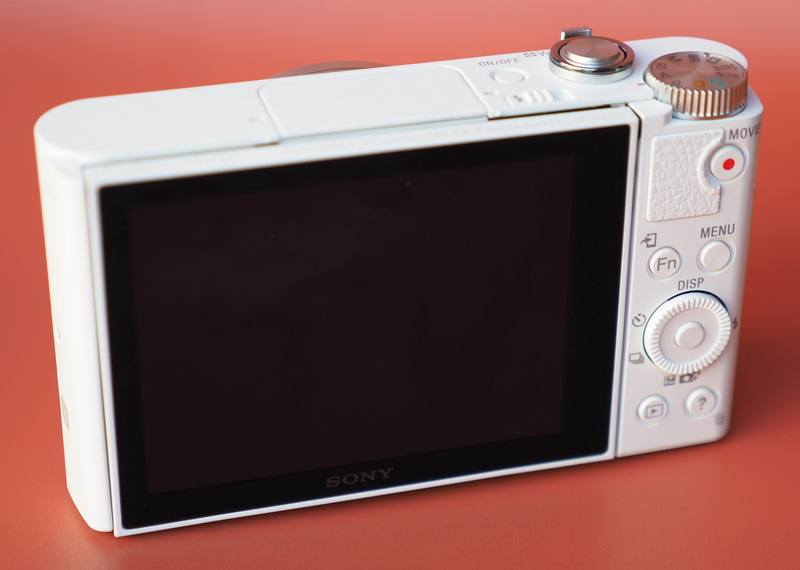 The Sony Cyber-shot WX500, as the doppelganger to the HX90, features almost identical specifications and features as the HX90, minus a few premium luxuries, such as the EVF, front grip, lens control wheel, and dual-axis electronic level. 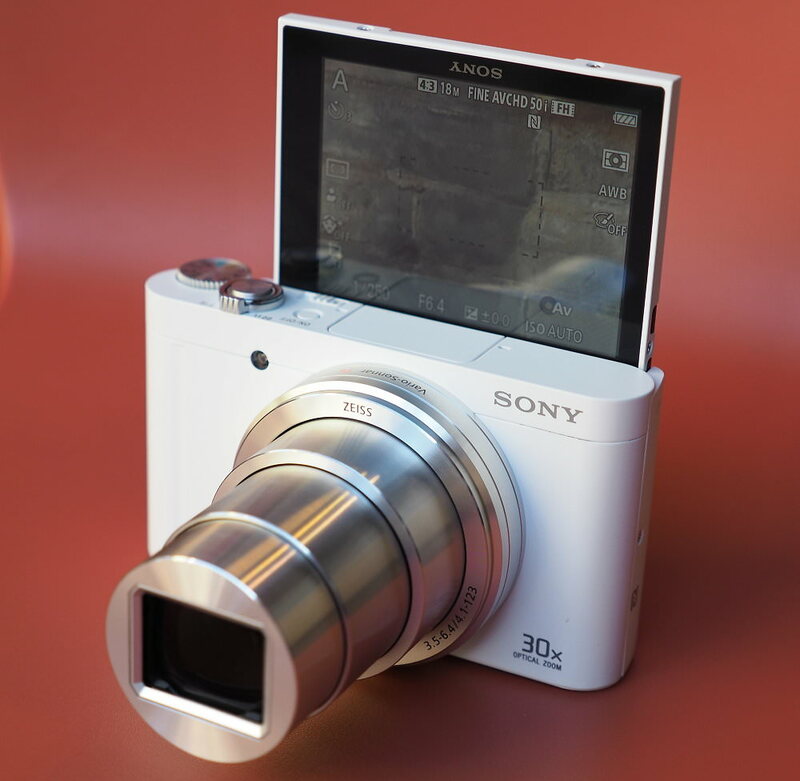 On offer is the same 30x optical zoom lens, crammed into an ultra compact digital camera body, a 3inch tilting screen, high-speed continuous shooting, and full manual controls. The 30x optical zoom lens is equivalent to 24-720mm in 35mm terms and features 5-axis Optical SteadShot image stabilisation. The 3inch tilting screen can be tilted forwards, helping you get the perfect "selfie" or self-portrait, and the built in pop up flash will help illuminate you even in dark seedy night clubs. Built in Wi-Fi and NFC connectivity lets you transfer photos to a compatible iOS or Android smartphone or tablet, as well as control the camera remotely, so that you can share your memories straight to Facebook and other social media websites. 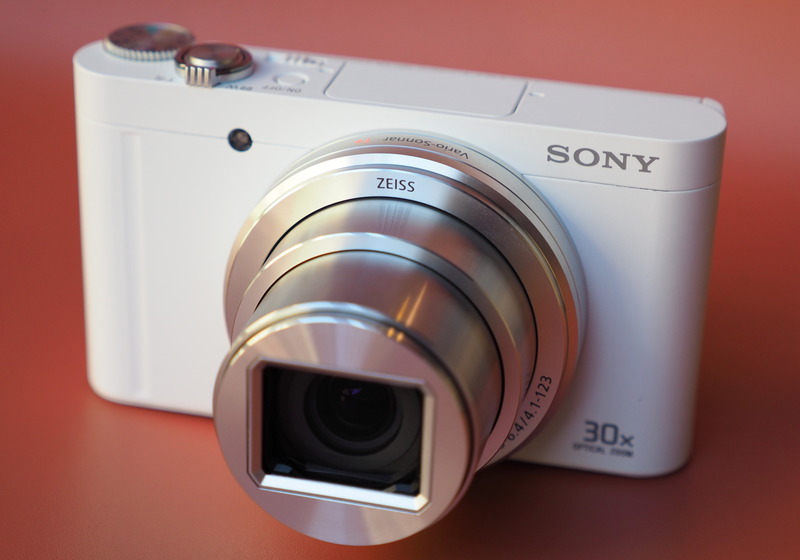 Sony PlayMemories apps can be added to the camera, expanding what the camera is capable of shooting. The WX500 features an 18 megapixel backlit CMOS sensor, can shoot at up to 10fps and records fullHD video with stereo sound and optical zoom. As well as full manual controls, there are a number of scene modes, as well as intelligent Auto modes to make using the camera easy for beginners. Intelligent Sweep Panorama makes it easy and quick to shoot panoramic photos, and there are a number of built-in effects to add creativity to your shots. 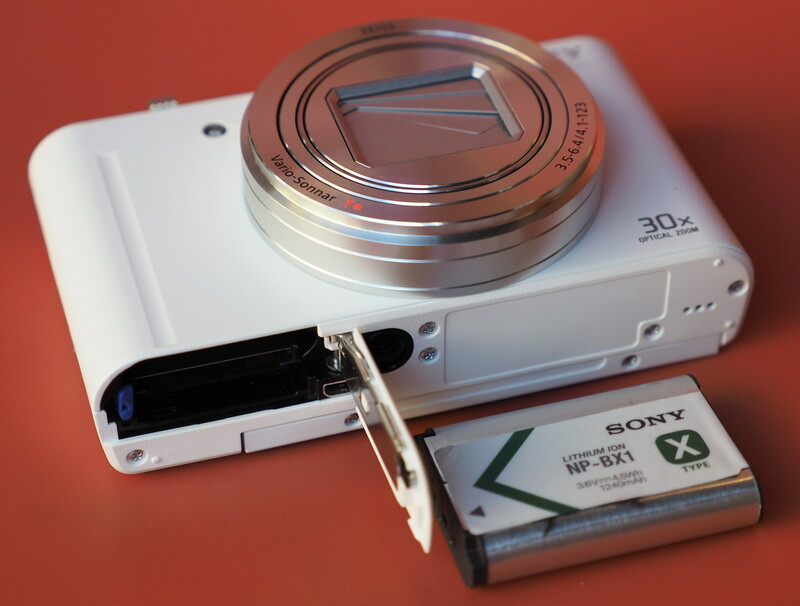 The Sony Cyber-shot WX500 (left) and the Sony Cyber-shot HX90, shown above. The Sony Cyber-shot WX500 is extremely compact for a camera with a 30x optical zoom lens, and with such a long telephoto zoom, you want to make sure that your can hold the camera firm and steady in your hands. Unfortunately, there is very little grip provided with the camera and we'd recommend adding a flipbac rubber grip to the front of the camera to improve handling. The camera feels well built with a metal body and the controls can all be accessed using your right hand, making it possible to use the camera easily with one hand - although for the steadiest grip, we would recommend holding the camera with both hands. The Fn (Function) button gives quick access to photo options and settings without having to enter the menu system. These options, along with the menus can be browsed using the 4-way control wheel at the back of the camera, although at times we found this a little bit small so if you've got large hands you may want to try the camera in store first. The screen looks good, with a clear display and visibility is good even outdoors in sunny conditions. The ability to tilt the screen helps here, as you can angle it away from reflections if needed. Wi-Fi features - Using Wi-Fi and NFC, you can select images to send to the smartphone, and the app is available for iOS and Android devices. You can also setup a remote connection to control the camera from your smartphone (or tablet), with optinos to adjust the zoom, set the self-time and take photos. Using the video mode you can also start and stop video recording. Battery life - Battery life is rated at 400 shots according to Sony / CIPA test results, which is excellent for a compact camera.